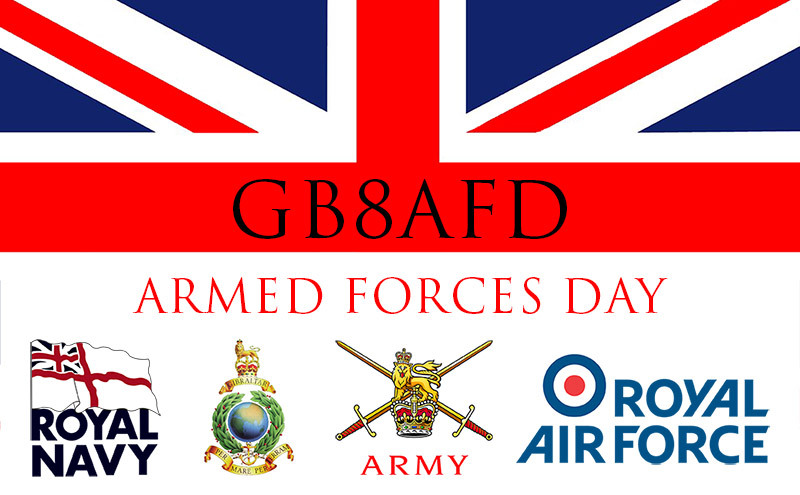 contribution made to our country by those who serve and have served in Her Majesty’s Armed Forces’. The club will be providing a demonstration of amateur radio to the public with the special callsign GB8AFD. The event was the idea of Steph G4XKH, who is one of several club members that have served in the military. The event takes place at Little Haldon, which is the site of a former World War 2 airfield, near Teignmouth in Devon. Club members will be making contact over the airwaves with other radio hams in the UK and abroad. A commemorative QSL card is available for those radio hams that wish to exchange cards to confirm a contact. Operating bands will include 40m HF and 2m VHF. QSL via bureau, eqsl or direct to Rivera ARC.